Does anyone know where I can find a picture of Pharoah90? His goal is to assimilate with the Earth, or basically to become one with the planet. Earth would then become the motherworld of the Death Busters. To do this, he need the energy of human souls, their pure heart crystals. 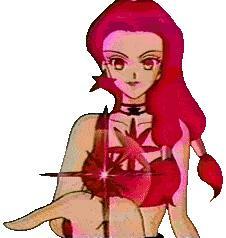 He was awakened when Mistress 9 captured Sailor Chibi Moon's heart crystal. He is destroyed by Sailor Saturn and Super Sailor Moon. Messiah. He creates diamond pods to extract pure hearts from people. He's pretty much a mad scientist. 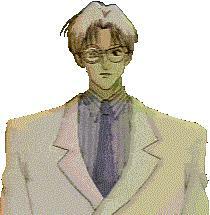 After Pharoh90 is destroyed, Professor Tomoe is returned to normal. 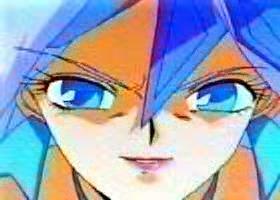 Mistress9 is a demoness who offers to bring Professor Tomoe's daughter back to life. The only condition is that he must give his soul to her master, Pharaoh 90. She also neglects to tell him that, she will take possession of his daughter's body. 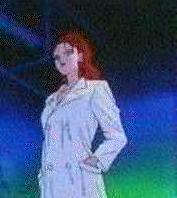 Kaolinite was Tomoe's first lab assistant. She is in love with him. Her mission is to collect three pure heart crystals that will form the Holy Grail. After an intense battle with the Outer scouts, she "dies." She later reappears in the Tomoe household as a maid and goes by the name Kaori. 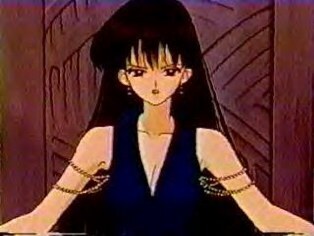 She has been the maid in the past (as shown in several of Hotaru's flashback). Even later, she reappears as the lab assistant . Unfortunately for her, Kaolinite is killed (again) by Mistress 9. Eudial. Eudial uses a computer to select targets. Her transportation is a white car with black stars on the doors. She also has a star gun which she uses to extract pure hearts. Eudial's attack is "FIRE BUSTER!" (she uses a flame thrower). 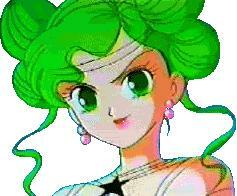 She eventually discovers that Sailors Neptune, Uranus, & Pluto hold the 3 talismans, and she takes them. Unfortunately, she loses them and flees the scene in her car. She is murdered by Mimete. She is the youngest witch. She murders Eudial so she can have her spot. Her mission was to retrieve the Holy Grail and find more pure heart crystals. 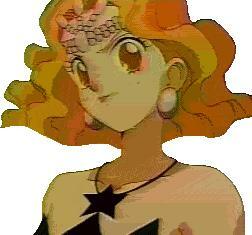 Her power is called Charm Buster, a staff that shoots out little stars. She uses magazines to pick her targets through magazines. 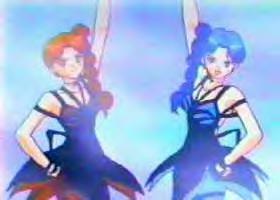 She is killed by Tellu, while using one of Eudial's machines that would make her ten times stronger so she could defeat the Sailor Scouts. Tellu unplugged the machine with Mimete inside it. She is Mimete's successor. Her mission is also to recover the Holy Grail as well as more pure heart crystals. Tellu uses a computer to generate an evil plant. She only appears as head witch in one episode. Tellu traps all of the Senshi, but then Tuxedo Mask shows up. She ends up falling into one of her own man-eating plants. However, she drops a student ID in the battle & the Senshi find out where the Deathbusters are working out of. get the Scouts in the school. The scouts use their attacks on them, but the more they attack the more the twins absorb. Mercury uses her bubbles and create fog then separate them to make them more vulnerable. Jupiter pushes Cyprine away from Ptilol as Mars whacks Ptilol on the head. The twins turn in different directions to get the scouts that hit them. They get turned around and end up using their powers on each other. Thereby, killing each other in the process.